Based in Stikland, and serving communities across the Western Cape, Iris House Children’s Hospice has scooped the Rare Diamond Project Award. A national award that honours individuals that have led and implemented innovative projects that aimed to deliver better health care solutions, showing strong results in improving the life of rare disease patients. The prestigious award ceremony was held in Johannesburg this past weekend, and was attended by Iris House CEO and Founder Sue van der Linde. Sue, who has dedicated her life to ensure that special needs children and families receive the care and support they deserve, accepted the award. She highlighted the plight of special needs children and families across South Africa, and the need for more quality respite care and support services for these children and families. Iris House now serves over 435 children across the Western Cape, but there are still so much more that need support. The Iris House team and family remain ecstatic and humbled the win, as the recognition validates the important work they carry out on a daily basis. It is the hope of Sue and her team that the award sheds light on the unique challenges faced by those in the special needs community, and the responsibility that we all have to create and inclusive and supportive society. 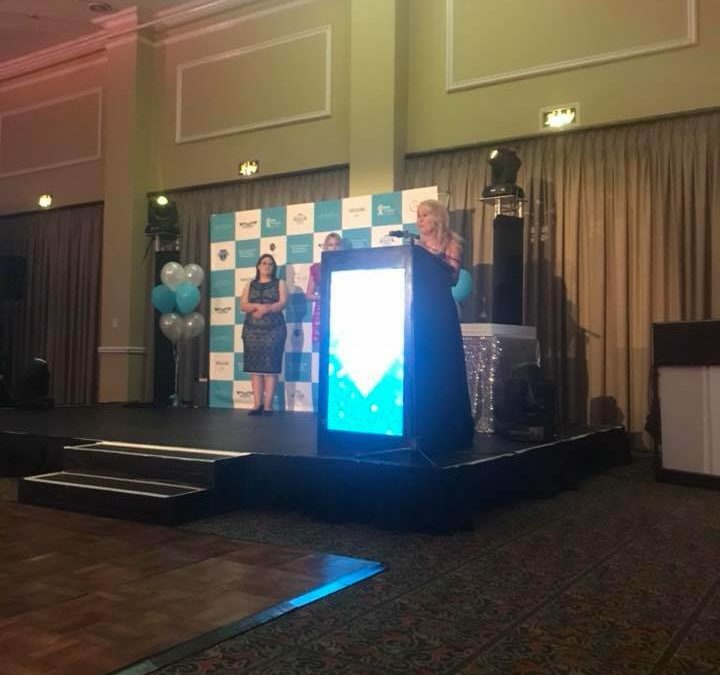 The Rare Diamond Awards recognizes excellence in advancement of overall healthcare, treatment and support offered by all those working within the Rare Diseases space in South Africa as well as individuals that have made a positive impact on the rare disease community. No such national awards exist within the healthcare sector, with entries welcomed from a wide range of patients, caregivers, industry partners and fellow healthcare professionals.